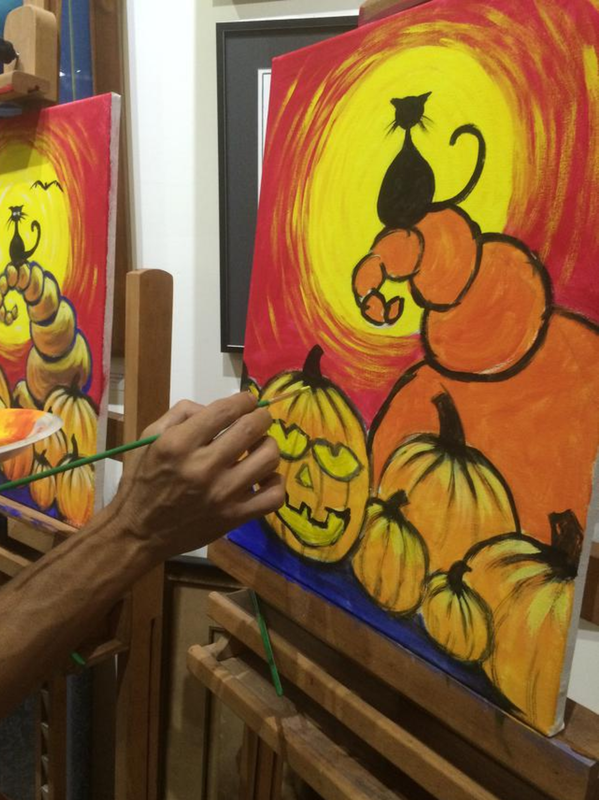 We are hosting paint nights and private paint parties at the gallery. 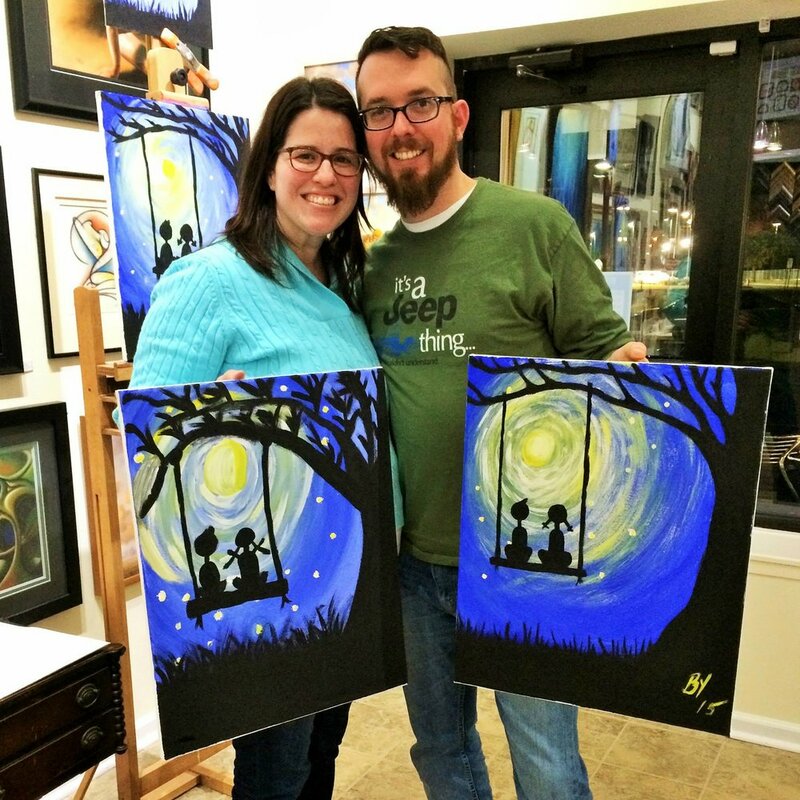 A great idea for special occasions, work office parties, or a simple gathering of friends. 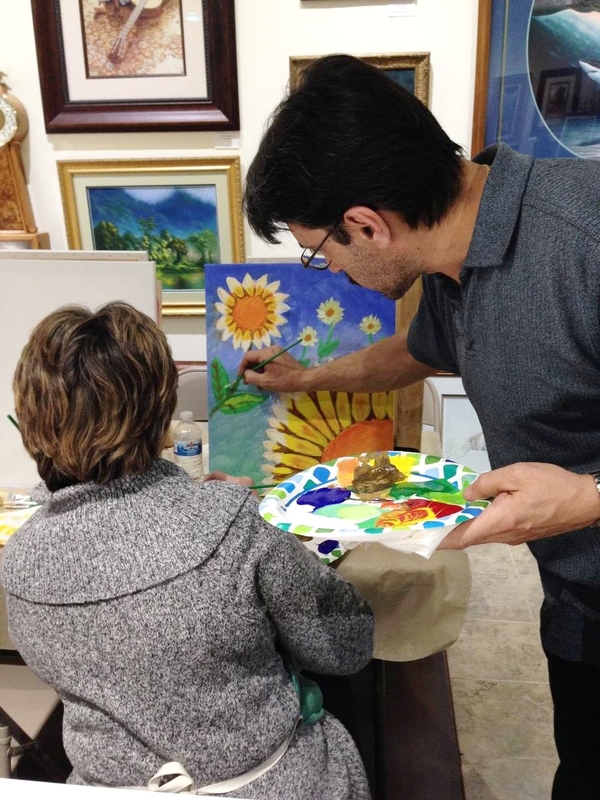 Choose a theme for your painting and our professional artists will walk you through the steps for a finished piece to take home. For added fun, parties are BYOB. Parties must be a minimum of 10 people, and maximum capacity at the gallery is 25 people. 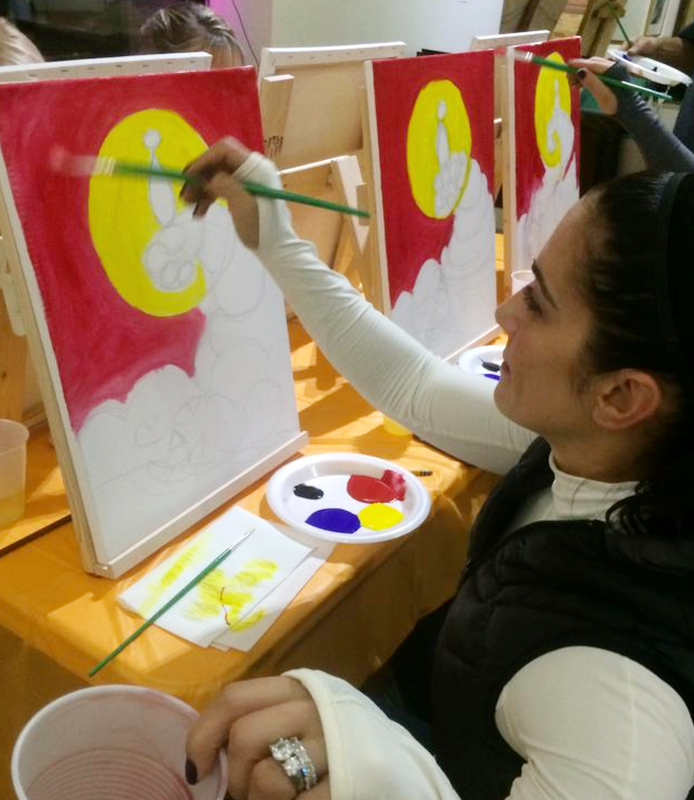 In-house artists will create a painting exclusively for your event.